Money management does not have to be a complicated issue if an individual applies the right strategies. The spending options are ever increasing than ever before, and the available payment methods are on the rise; one can now pay via various means, like the internet, preauthorized withdrawals, debit card, credit card, check and cash. Individuals use money differently, which is a reflection of individual priorities and values. Be that as it may, whatever an individual decides to do with money today will have an impact on his/her future, an impact that can be positive or negative; this fact necessitates the need for proper money management to have a better tomorrow. Money management enables the individual to take control of money today to make life more livable tomorrow. Special attention must be given to where the money is coming from and where it is heading; this is the very first step in the direction of a financially secure tomorrow. What is money management? It simply means paying close attention to money being made and how it is being used. The information in this text will open the eyes of the reader to effective money management. By the end of this text, the reader would have become a better personal finance manager. The information here will delve into budgeting and its importance. It is a well-known fact that proper budgeting helps to assess and manage money flow. This text will equally consider credit use and borrowing; both of them play very important roles in the process of money management. After going through this text, you will start seeing personal money management as a means to preparing for a better financial future. 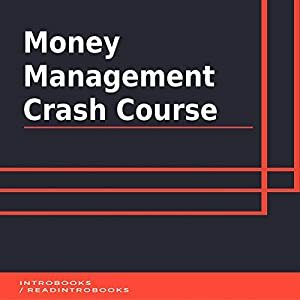 While the information in this text may not cover all the facts you need to have regarding money management, it will set you on the path towards recovery if you have not been managing your finances properly till date.